If you have an MSDN Azure subscription you’ll now find a Windows 10 technical Preview for Enterprise available in Azure. This allows you to test the new OS quickly and easily, which is what Azure is all about. 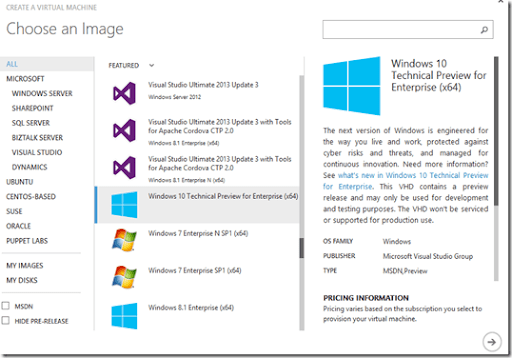 Remember, this virtual machine image may not be available on all Azure subscriptions. Previous Post Azure comes down under!